Burger On The Run: Spike up! 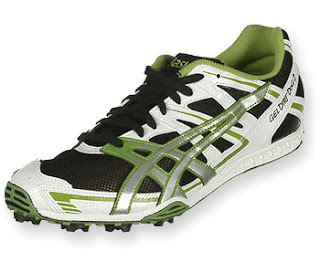 In just two days I will be the owner of the Asics Gel Dirt Dog 2's. Supposedly these spikes can go on pavement a little too, which is great for where I run. I read an article in Running Times about how great XC running is for you, and I never ran it in High School, but I might as well try it. As far as the shoes go, I've heard mixed reviews, but they were $30 with free shipping, so what the hell. I've heard they're for a narrow foot, I hear they're for a moderately wide foot. I hear that they have no arch suppport, and I hear that they have moderate arch support. So who knows? at $30 they're worth a flyer.